Debbie Johnston - Piano technician in Poole Dorset. A piano technician with over 30 years of experience in tuning and repairing piano's in Poole Dorset. I’m Debbie Johnston a professional piano technician with over 30 years of experience working with pianos. For three years i trained at the London College of Furniture to become a piano technician. I’ve worked hard to become a thorough and reliable piano tuner and am comfortable working with upright and grand pianos. In my career i’ve worked in numerous piano shops before deciding to becoming a self-employed piano technician. My work covers many areas including tuning in piano shops, churches, schools, residential homes and private houses. I welcome people of all levels of experience to book a tuning with me. For additional piano tunings I will contact you to arrange extra appointments. Piano’s need to be kept in a good condition and will need constant tuning and repairs. Ideally your piano should be tuned at least twice annually. I’m comfortable tuning and repairing all upright and Grand pianos. Your piano pitch may drop below the recommended concert pitch (A440) due to the lack of regular tuning. Therefore your piano will need a pitch raise if using to accompany other instruments. Often piano’s are bought that are not suitable for the buyer. For a small fee i will assess and professionally evaluate a piano you are thinking of buying. I can provide valuable advice for when it comes to piano removals, piano positioning and the ideal conditions in which a piano should be kept in. 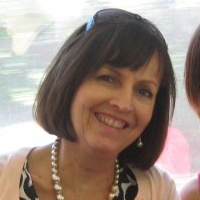 Debbie Johnstone is a qualified and valued tuner and associate in the successful running of our business. For most of our time here at Parkstone in Poole she has been a serious contribution to our lifting standards of workmanship.Her effort of tuning and regulation are of a very high standard. In a competitve market her costs and time spent are most acceptable. Debbie Johnston is an excellent piano tuner and is also very reliable. She phones to book an appointment when the piano is due to be tuned and is always punctual. A first class service. Currently i’am based in the Poole area and cover all of Dorset and some of Hampshire. If you want to book a tuning or would like any advice please get in touch.